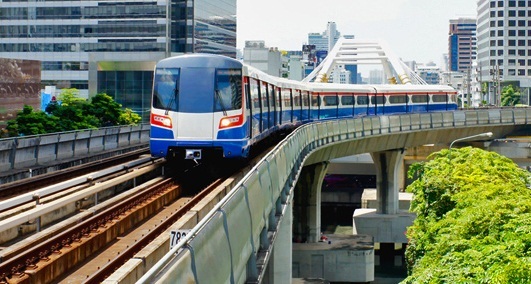 HA NOI (VNS) — The Transport Engineering Construction and Quality Management Department under the Ministry of Transport has approved the import of a single train needed for the 13.5 kilometre urban elevated railway line at a cost of US$63.2million. The train for the first elevated line in the capital will connect Ha Dong to the Dong Da district. Known as the Cat Linh - Ha Dong line or Route 3, it is one of the eight urban railway routes envisioned in the Ha Noi transport master plan approved by the Prime Minister Nguyen Tan Dung. The price that the department approved to buy the train, is more expensive than another option, initially estimated at $51.7 million by both the project owner and contractor in the overall investment project. The approved pricing plan was based on an appraisal made by AASC Auditing Co. Ltd, a Vietnamese auditing company based in Ha Noi and new estimates offered by the project contractor, according to the transport ministry. The price includes the train's production, transportation, installation, customs' fees and insurance for delivery to the project site, which alone would account for US$4 million, but does not cover the line's signal system. The project's engineering, procurement and construction (EPC) contractor is the China Railway Sixth Group (CRSG) 's overseas construction company. The project, which will need a total investment of VND8.7 trillion ($402 million), is scheduled to be completed by the end of the year. It will be officially opened in March 2016, according to Vnmedia.vn. There will be 12 stations along the first route, namely Cat Linh, De la Thanh, Thai Ha, Duong lang, Nga Tu So, Dai hoc Khoa hoc Tu nhien (Natural Sciences University), Ben xe Ha Dong (Ha Dong bus station), La Khe, Van Khe and Ha Dong.